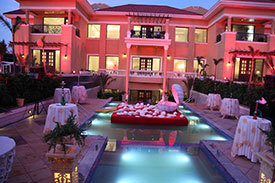 Gaur Mulberry Mansions Villas is the world-class residential project, which is being developed by Gaursons. This high-rising project offers the best-in-class apartments in 5BHK and 6BHK ranges. Being a modern-edge residential project, it has been made furnished with outstanding housing comforts such as modular kitchen, stunning bathrooms, hall, lawn, balcony, doors, windows, etc. Furthermore, the building possesses elegant infrastructure and perfect finishing from inside to outside. Moreover, this project is spread over 250 acres area that is huge to live life king size. The site is full of greenery and is listed amidst the developing area in Noida and Greater Noida as well. A quintessential group-housing destination with modern building architecture, superb design, and comfortable living ambiance is the trademark of Gaur Mulberry Mansions Villas. Situated in the excellent locality of Sector 1, Greater Noida West, in close vicinity of Noida-Greater Noida expressway this property provides superb location and connectivity benefits. It is made to deliver healthy living on account of its multi-dimensional support infrastructure and wide-range services. Its 3 sides open land orientation ensures optimal openness, privacy with the maximum inflow of natural air and sunlight. Here, it offers elegantly designed 6BHK, Villas; Farm House options complimented with the spacious interior and fine-tuned finish.